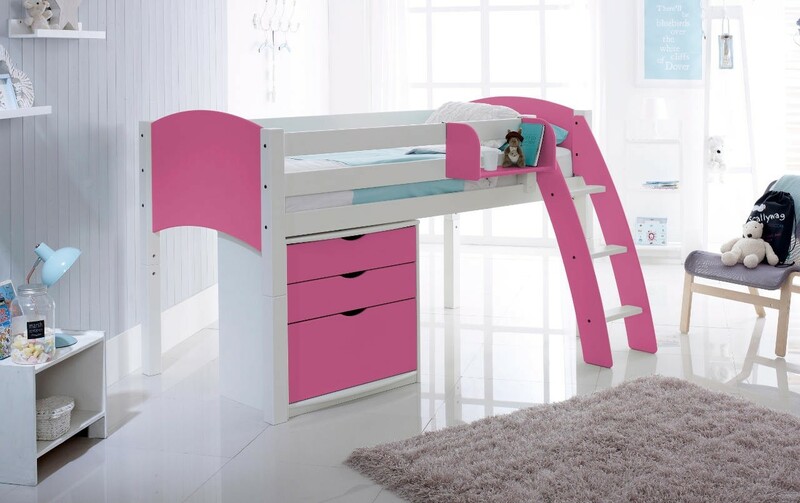 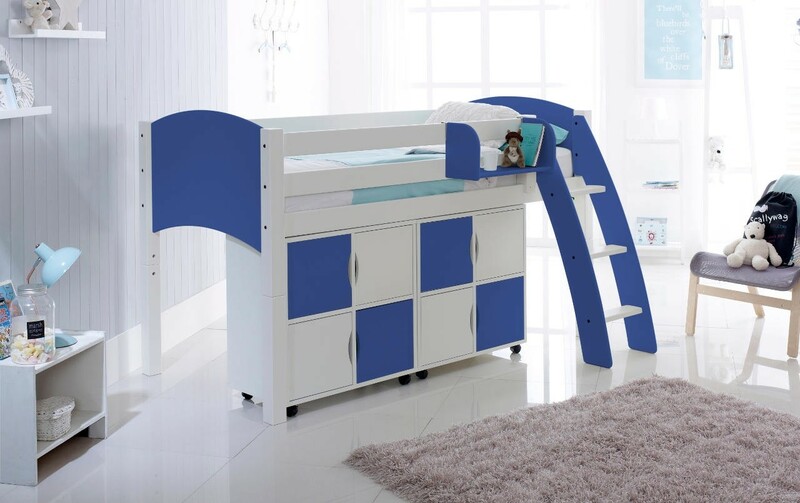 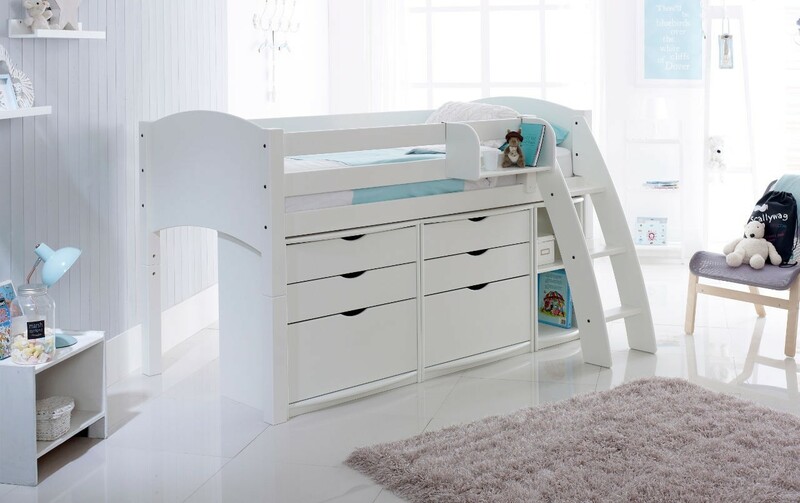 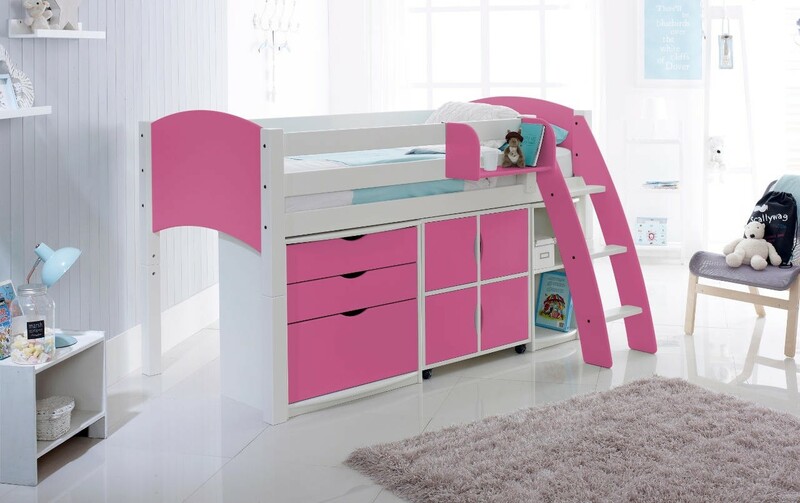 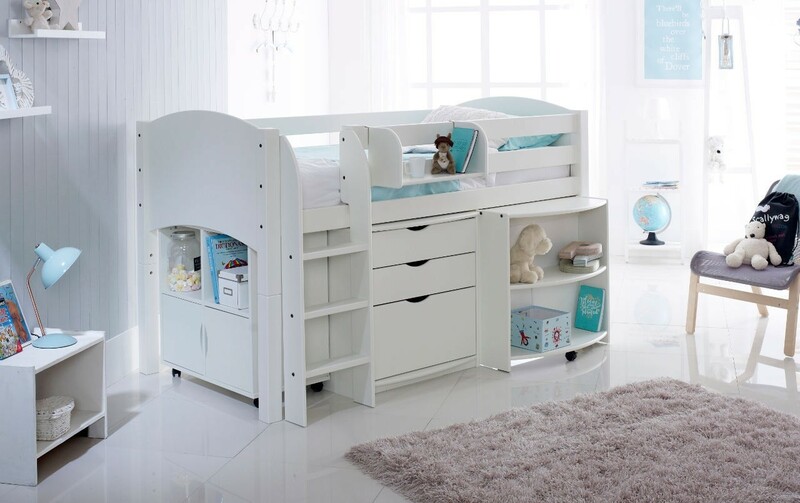 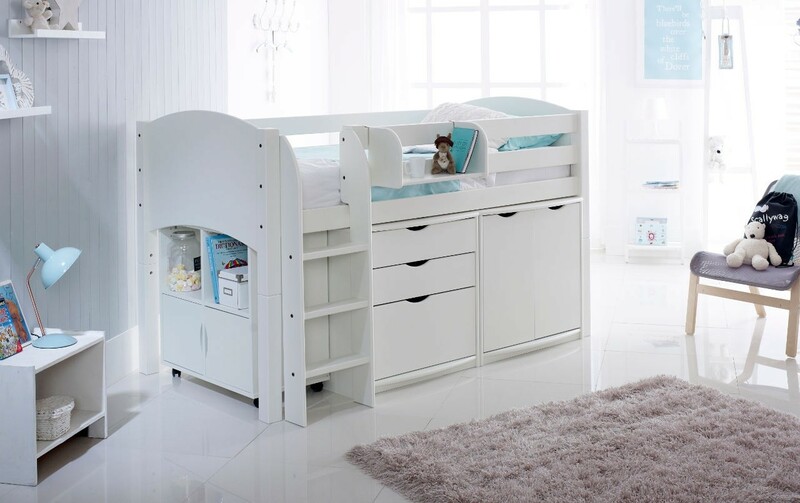 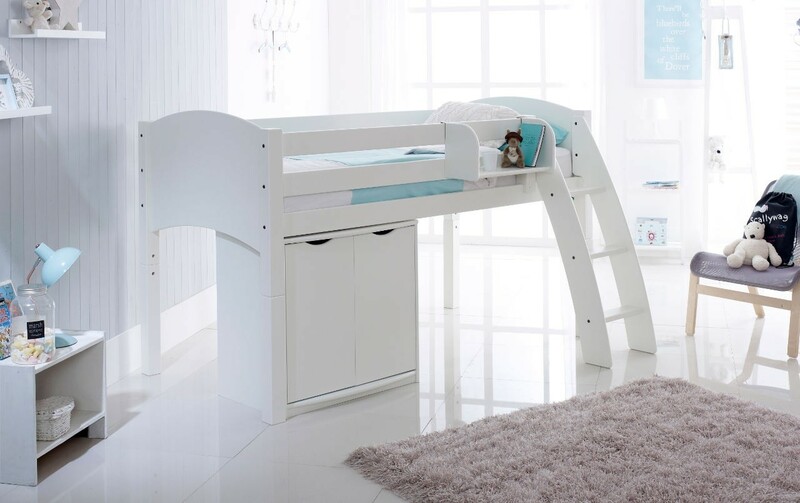 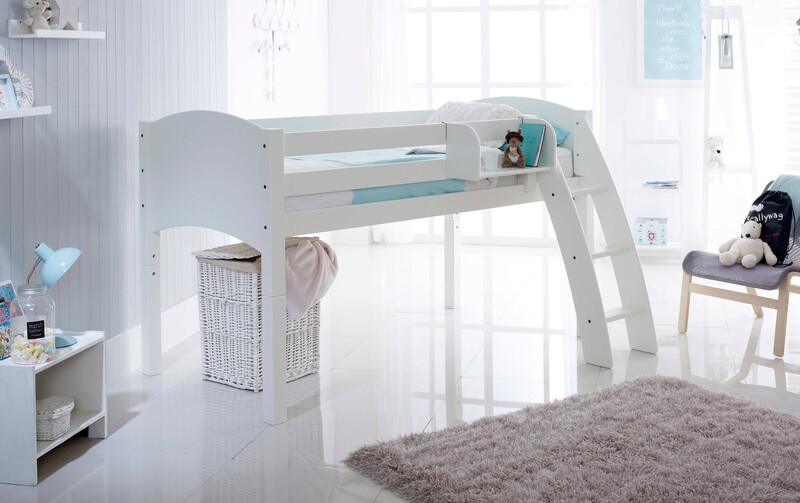 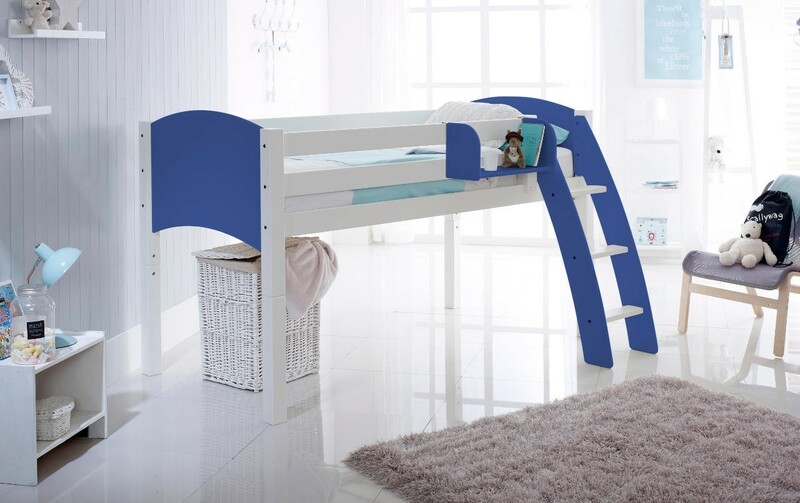 A "mid sleeper" as they call them in England, a mini version of a loft bed for younger kids. 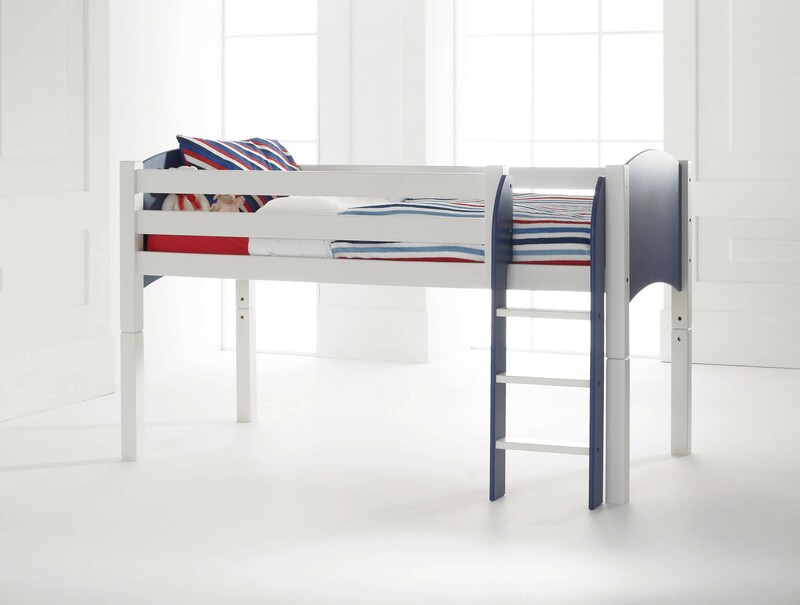 The Scallywag Cabin Bed - a "Mid Sleeper". 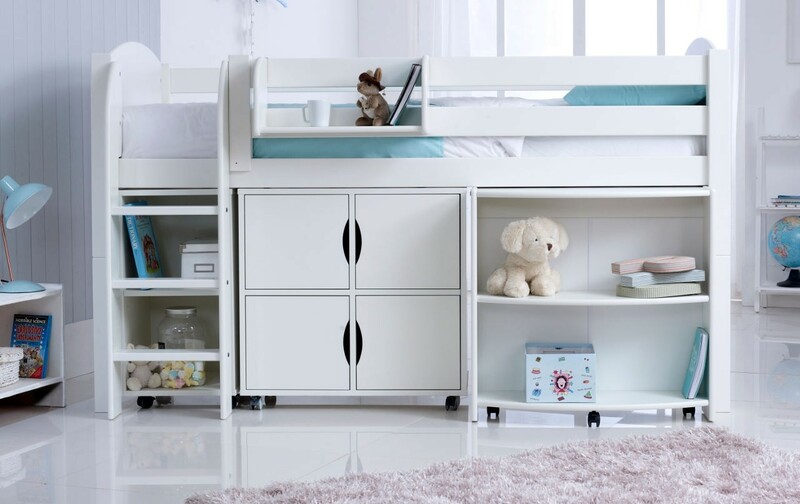 Get more storage space by simply attaching a cabin coversion kit to your Scallywag twin bed. 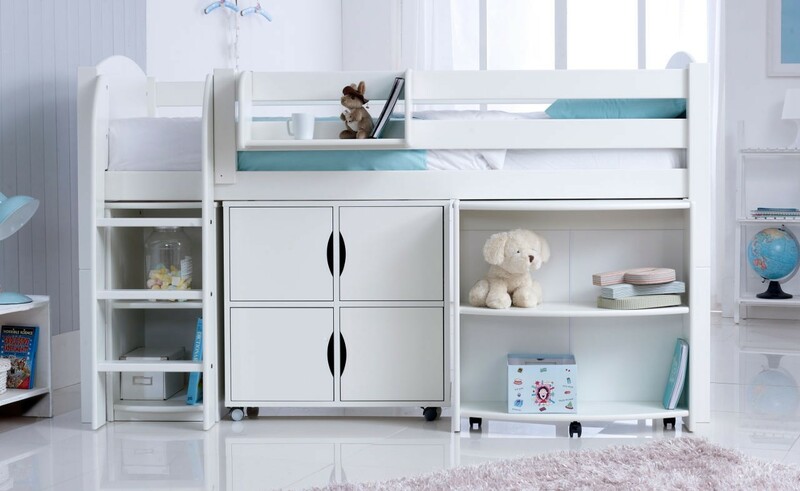 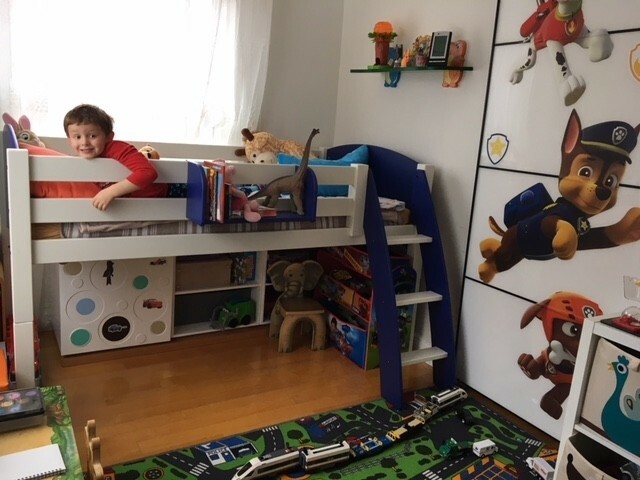 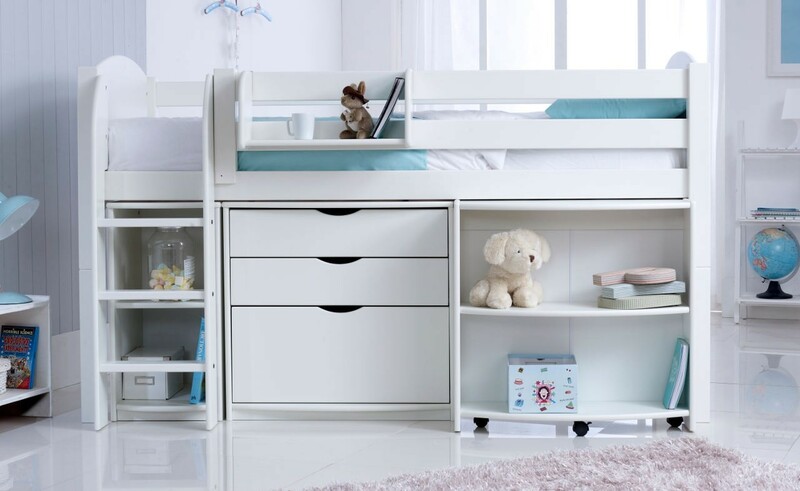 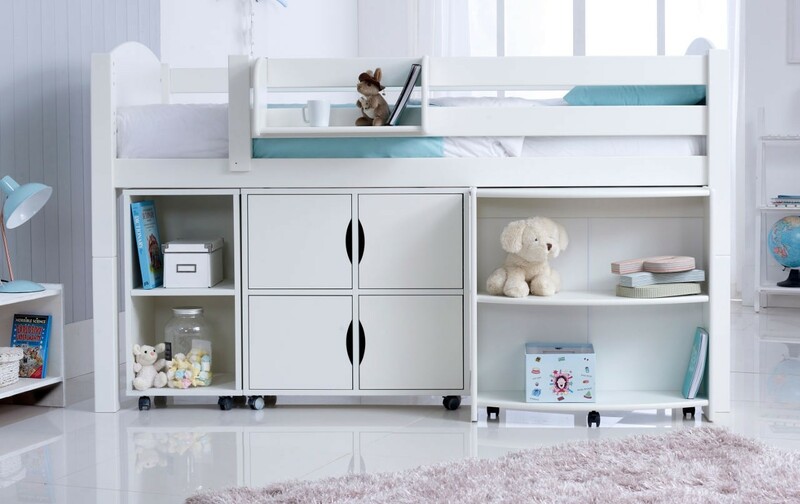 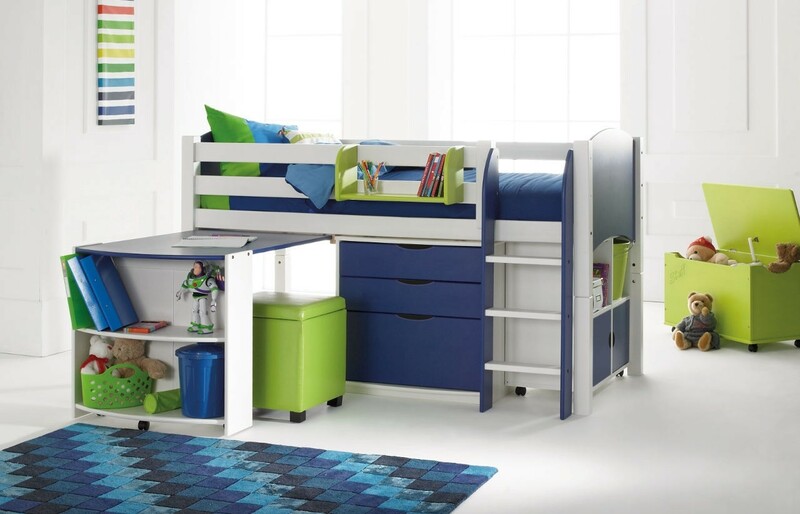 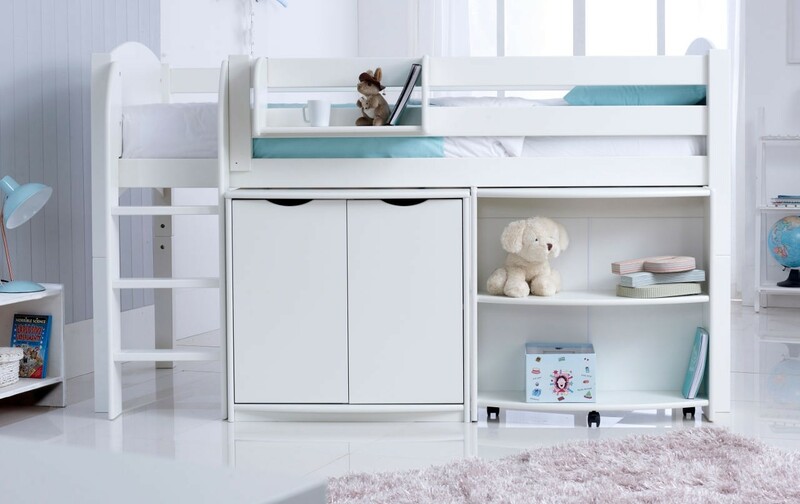 The cabin bed is designed for kids up to 10 years old, with convenient storage and desk options underneath. Fits a standard Twin mattress size.